I have access to fresh bamboo. So, it's not an excuse not to try making this. My husband's employee falls her bamboo bush every Eid and I must ask for it in advance as I won't know when will the bamboo be cut down. As bamboo dries up easily, I can not wait for long once I receive them. I have never eaten this before, but our AFF Taiwan host, Alan did, many times. So, he told me what is in those that he ate and with some reference pictures I saw online... I embarked on a mission to copycat the modern Taiwanese Bamboo Rice, the version that you could probably buy at night markets. 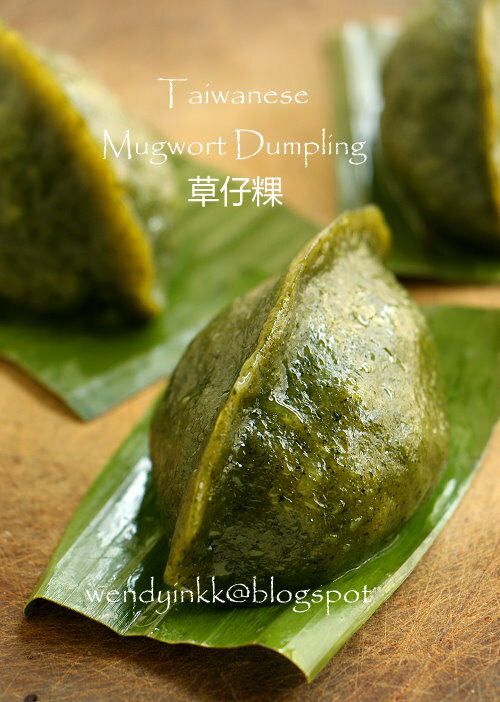 This dumpling is also found in China and Malaysia as well. In China, it can go with many names like 清明粑，清明糍，艾草粑粑 and quite a few more that I can't remember. There are some differences between the Taiwanese version and the rest. 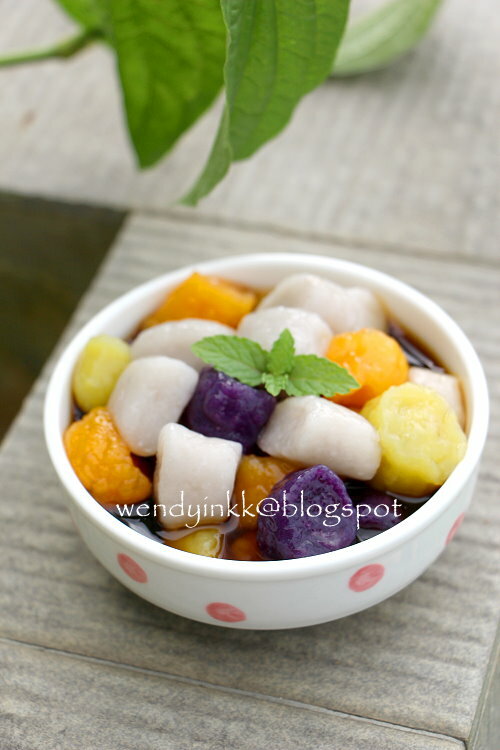 Tang Yuan, is usually eaten during the Winter Solstice Festival. 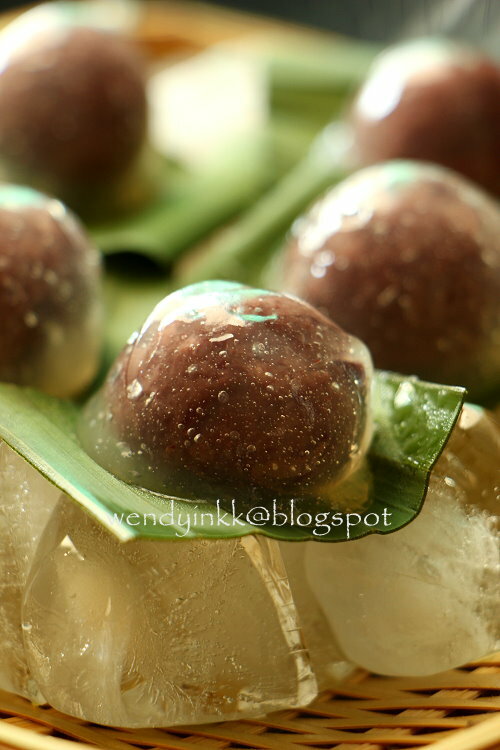 They are made with glutinous rice flour, round and chewy. One can either make them plain, or filled with fillings like red bean, peanuts, or black sesame paste. 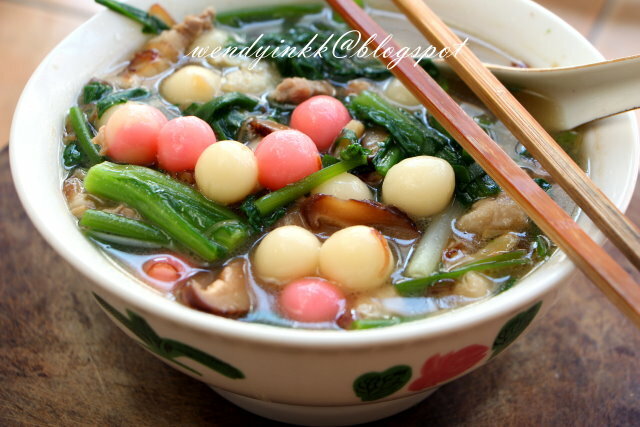 For the Taiwanese Hakka, they will cook tang yuan in a savoury broth. They love to use aromatic vegetables in the broth. My family also cooks savoury tang yuan, but not in the same way. I can frankly tell you, I'm not a fan of these things. I ate them at Blackball before and didn't fall in love with it, but I won't say I hate them. I will still eat them, but not looking forward to them . My husband's family makes a savoury version with leeks and crab, as a traditional dish every second day of the Chinese New Year. My husband do not look forward to that too, although he has been eating them since he was a kid. 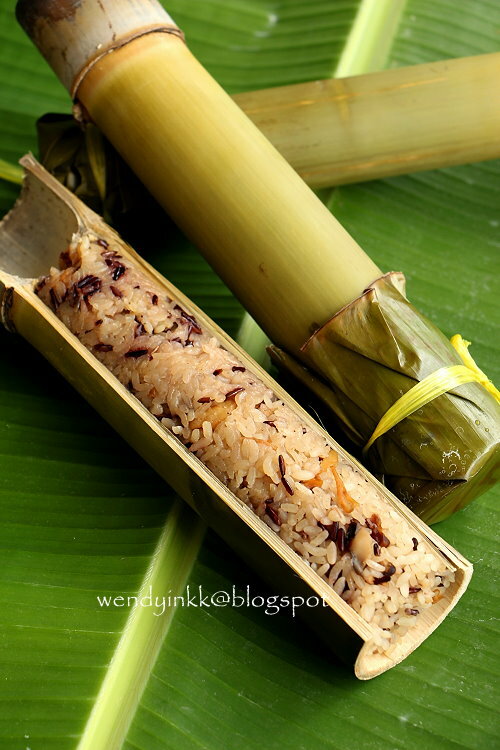 Liang Yuan is an old time snack in Taiwan. Sold by uncles on pushcarts, displayed on blocks of ice. But of course.... not all are sold that way nowadays. I didn't know of this, until my mom, an avid fan of Taiwanese cooking shows told me about it. My friend said, it's not that nice to eat.. hmmm.... So, should I try? I thought.. no harm to try. And so I did.